Although the MSCI World index declined 1.8% in March, the real story was about equity dispersion, currencies and central bank policy. In equities, dispersion of returns by geography continued in March, with equities rallying in China, Europe and Japan while selling off in the US. In currencies, the US dollar continued its climb though the month, with the Dollar index (DXY) up over 3% for the month and now up 9% year-to-date. 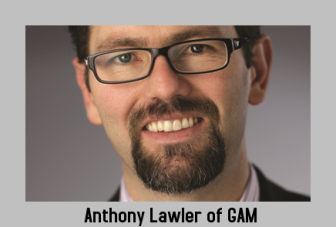 These equity and currency moves were largely explained by the differing paths of quantitative easing (QE) and monetary policies across the US, Europe, China and Japan, according to Anthony Lawler, portfolio manager at GAM. With this heterogeneous global backdrop, hedge funds performed broadly positive in March with the HFRX Global Hedge Fund index up 0.3% for the month, bringing the year-to-date gains to 2.1%. At the strategy level, global macro was up 0.7% for the month and continues to be the out-performer for 2015, and is now up 3.4% for the year, as measured by the HFRX Macro/CTA index. All returns stated in US dollar terms.